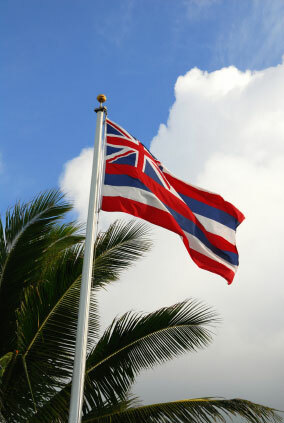 Hawaii boasts a melting pot of culinary influences that ranges from European, to Asian and Latin. The interesting synergy that results when these kitchen traditions come together provides a unique flavor that is only found on the Islands. Filipino and Japanese dishes are transformed the Hawaiian way, until singular Pacific island taste treats are born. Pineapple and sugarcane are produced for export, but talented chefs don’t overlook these famous Hawaiian ingredients when planning their island menus. A strong organic farming culture also contributes an abundance of freshly produced vegetables and fruits for chefs to transform. The relaxed, ‘hang loose’ attitude promoted by laid-back islanders belies the fast-paced high-volume cooking that goes on behind kitchen doors. Hawaii is a tourist destination for adventure seekers who can afford it. For cooking students; this is good news, since the hospitality industry requires well trained kitchen professionals to serve the palates of savvy international travelers who are looking for the perfect bite. Hawaii is a leading tourist destination, where travelers are shown innovative and progressive interpretations of the state’s truly unique native culinary tradition. As a student chef in Hawaii you’ll witness a distinct style of cooking with an emphasis on fresh seafood and Asian influences galore. Mexican and Puerto Rican cooking is also represented in traditional Latin dishes, or in exciting fusion creations that strike notes from several cultures. Wherever you seek a Culinary Arts education, your curriculum should include a heavy dose of local food culture. Become familiar with the best local chefs, and sample their famous dishes. Dissect menus at the most talked about local restaurants to gain a thorough understanding of food trends. Your own place in the workforce will be easier to define if you’ve got your finger on the pulse of the local food scene. Most Hawaiian cooking schools are located in Honolulu, but your complete educational experience includes forays into local and regional fare that can only be found off the beaten path. Soak up the native flavors of Hawaii, savor the ingredients, and learn from creative local minds like Sam Choy and Chef Philippe Padovani. Food festivals and regional tasting events are prime learning grounds for emerging cooks. Opportunities for young chefs include volunteering in a festival kitchen, participating in a student competition, or taking-in a cooking demonstration taught by a favorite local chef. By getting involved, you establish contacts and networks that are important to your career development. Kapalua Wine and Food Festival – June is a great month for Hawaii foodies, and includes this yearly festival. Celebrate the best of Hawaii with unique sampling opportunities that are centered around local products and standout culinary talent. Wine pairings are discussed with great chefs and menu-planners who impart basic knowledge to amateur sommeliers. Hawaiian Chocolate Festival - Dole Cannery – A chocolate lovers paradise featuring Hawaiian grown cocoa. Shopping and soaking up chocolate knowledge are prime activities that help support the emerging cocoa industry. Chocolate and wine pairings are discussed at one seminar. Or for food fans that prefer to amp up their chocolate experience with caffeine, Kona coffee is discussed and sampled as the perfect cocoa accompaniment. Expanding your educational horizons might include a student membership in one of the professional associations that serve the hospitality industry. Participating within industry organizations exposes students to networking opportunities and forges alliances between like-minded professionals. Members-only events and seminars often include presentations from working pros who are the best prepared to show you what life is like in professional kitchens. Scholarships and job boards are administered by chef’s industry groups, in order to promote their profession and encourage education among members. Organizations like these usually offer discounted memberships to students, who benefit from national and regional conferences and access to other industry events. The tourist business in Hawaii continues to generate a significant demand for hospitality and food service professionals. Look for a cooking school that connects you with valuable internships and maintains strong industry affiliations. Student-run restaurants and state of the art training kitchens provide useful exposure to industry simulations that prepare students to successfully operate under pressure. Make sure they are present at your school. Average chef’s salary in Hawaii is $50,000, but pay is based on a wide variety of factors. There is no doubt that a comprehensive culinary education gives you increased mobility, and access to the best entry-level jobs, so don’t overlook your training needs. Other factors that influence kitchen salaries: years of experience, advanced education, your reputation, location and type of establishment and general health of the economy. Maui Culinary Academy – Kahului is one of the best specialty culinary arts academies on the Islands. This school is affiliated with the Maui Community College, but also offers ultra-specialized training that includes new high-end training kitchens and a fine student-run restaurant. Programs include Associates Culinary Arts, Associates Baking, Associates Restaurant Supervision, Certificate Culinary Arts, and Certificate Baking. Travel Institute of the Pacific – Gros Bonnet Culinary Arts Academy – Honolulu is one of the oldest culinary arts programs in Hawaii, and was originally developed to train students for immediate positions in the travel and hospitality sectors. Getting a culinary arts education in a tourist region has its advantages, so consider your post-graduation dreams, which might include a prolonged exposure to Hawaiian hospitality. Programs include Culinary Arts, Patisserie and Hotel Management. Core curriculum covers French cuisine and production cooking for a commercial kitchen. Hawai’i Community College – Hilo - The stated mission of the school is to graduate professionals who can communicate effectively in a wide range of situations, analyze ideas effectively, and contribute within their chosen fields. The Culinary Arts Program emphasizes hands-on learning in a demanding curriculum that requires work in the student run restaurant. Safety and Sanitation and Food and Beverage Purchasing are courses that force students to put down their knives and embrace theoretical knowledge that applies in a variety of hospitality environments outside school. The Culinary program prepares graduates for kitchen work, but for those interested in other hospitality jobs, the Community College offers general education courses in other areas. Kapiolani Community College – Honolulu –Associate’s in Science – Culinary Arts and Associate’s in Science – Patisserie, are two-year degrees that can be earned by completing this internationally inspired food service program at an ACF accredited campus. Certificates are also available, and working chef apprentices can enroll in an earn-while-learn program that takes three years to complete while working full-time. Leeward Community College - Pearl City – American Culinary Federation Accreditation is a proud feature of the Culinary Arts curriculum that includes an Associate’s Degree study track, as well as Certificate of Achievement and Certificate of Completion in Food Prep, Baking, and Hospitality Supervision.